Discover a long lost secret, a world away from Portland. You might not know it yet, but you’re going to be here all night. Our last night open is December 30th, 2017. Every Thursday: Free professional tarot reading with any food/drink purchase. each month. Free to play! Every Tuesday-Friday from 4–7 pm. $6 cocktails and $1 Rhum Style Oysters. Dec 7th: Details to follow. If you're feeling less adventurous, we have a full bar featuring beer, wine and a fine selection of rums. Our selections change daily and seasonally. 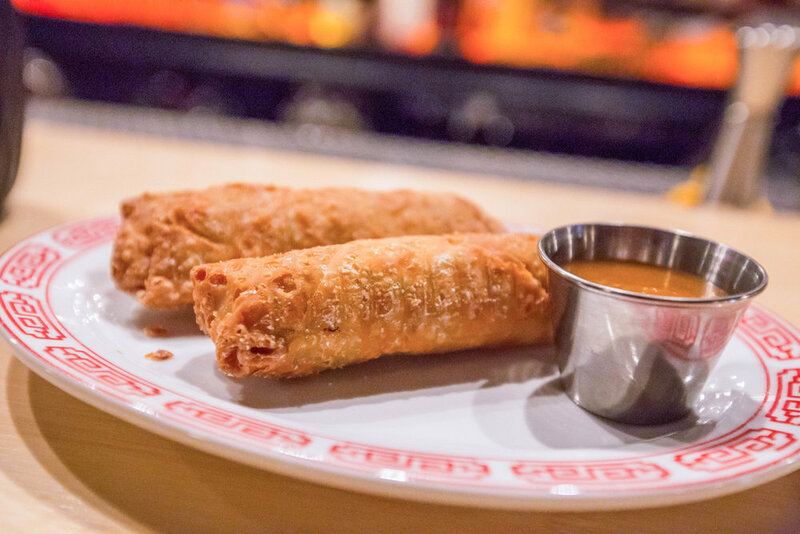 The crown jewel of the six-seat Soggy Dollar Bar. From the legendary Trader Vic’s, Oakland, California, 1944. A recipe over 100 years old from the Raffles Hotel in Singapore. Our rum based Manhattan variation. Light, Refreshing, and served in a Coconut. You’d be bitter too if your honeymoon was cancelled. A three spirit salute to those lost at sea. Two Cocktail Limit: You’ve been warned. 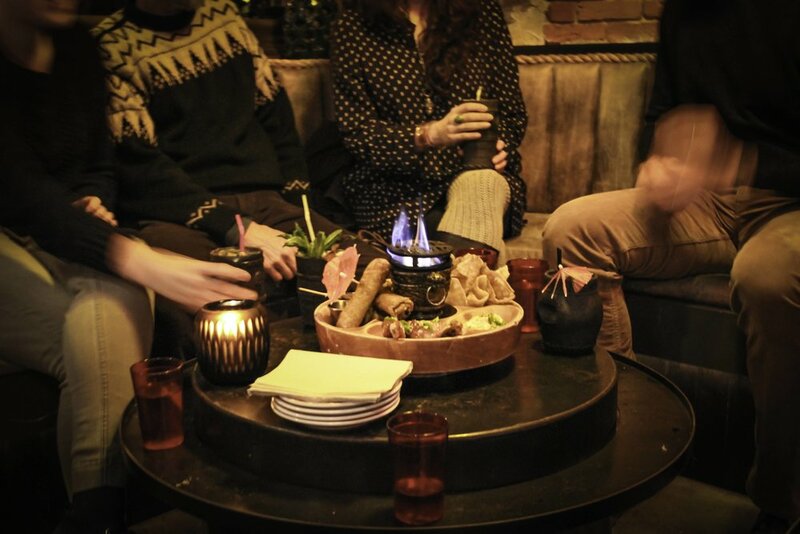 Escape the everyday and step into the subterranean hideout that is Rhum. 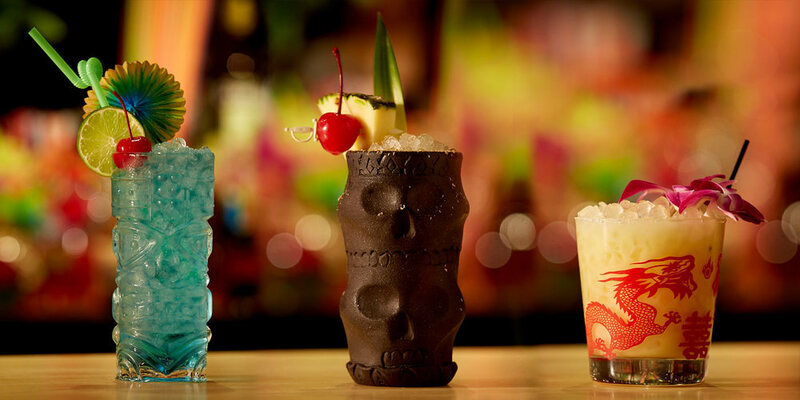 Enjoy our well crafted classic and contemporary cocktails, elevated Tiki fare, and uncommon raw bar, all in a lush atmosphere that brings the tropical South Seas to the frigid Northeast's doorstep. 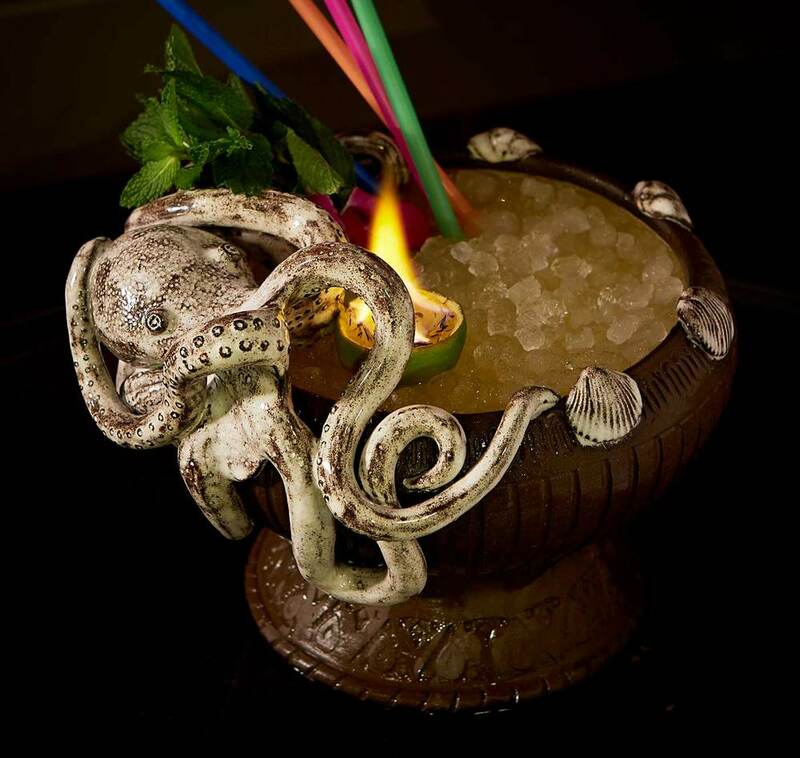 Rhum is a tribute to the classic Tiki bars of yesterday, as well as to the craft and romance of rum and its long tradition. Rhum was imagined by Fifth Food Group, which includes Jason Loring (NOSH and SLAB), Mike Fraser (Bramhall), and Nat Towl, a builder and designer. 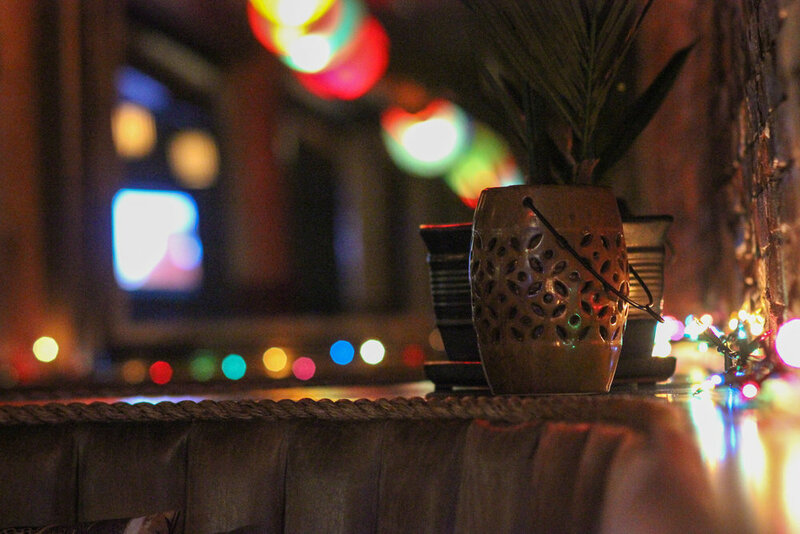 Our lounge is designed to feel intimate and welcoming, whether you're a party of two or twenty. Find us today — look for the octopus — and take a journey with us.